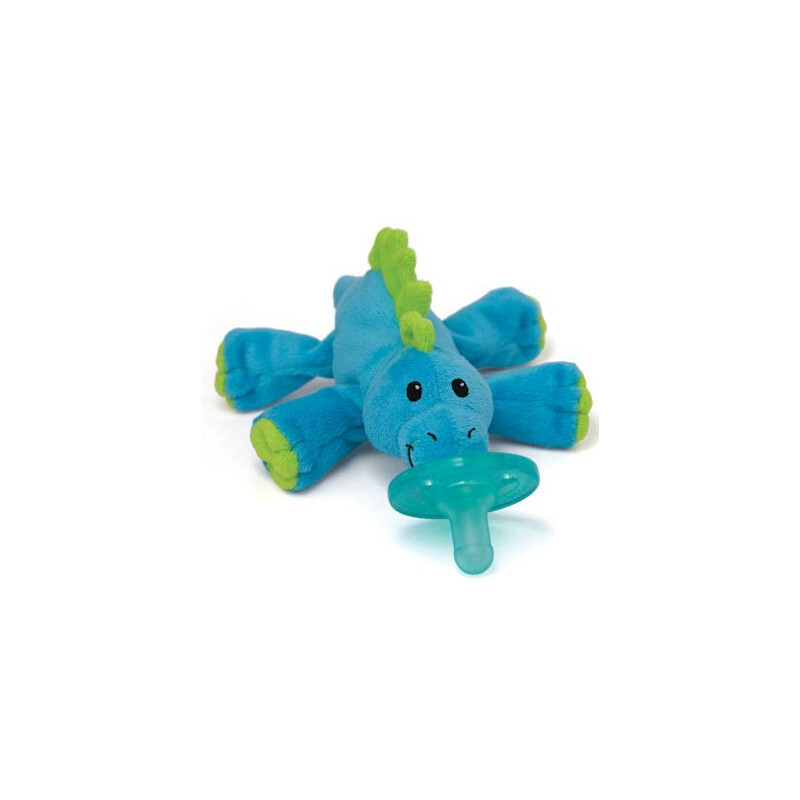 WabbaNub adorable Medical grade, latex free Babby Dino infant pacifier. 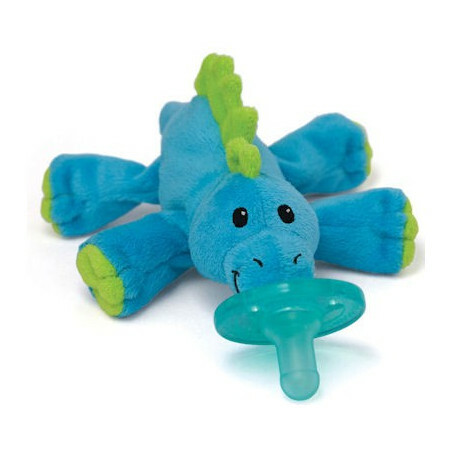 The adorable WubbaNub Baby Dino is enormous fun for your little bundle of joy. 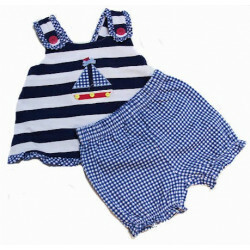 Ultra soft fabric and Dino's bright colors will be sure to put a smile on your little one's face! 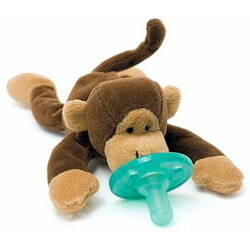 Its unique style allows pacifier to remainn close and will easiy position to baby. WubbaNub functions as one! Patented design prevents pacifier fron beig lost, dropped or even forgotten! 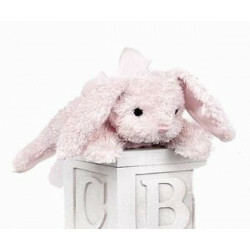 Plush animal makes it eady for baby to grasp and manipulate the pacifier.